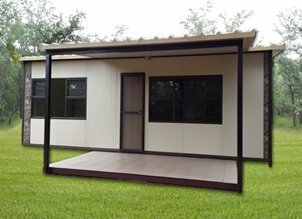 Afripanel designs , manufactures and installs modular buildings. We specialize in turnkey solutions. Our product and solutions are tailored for quick and efficient construction and aesthetically good looking buildings. All buildings are energy efficient, supplied in a kit form and mostly flat packed. 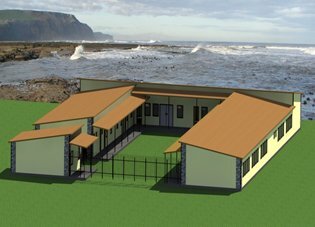 Our product is ideal for mining camps, schools, clinics, offices, accommodation units and for the low cost housing sector. 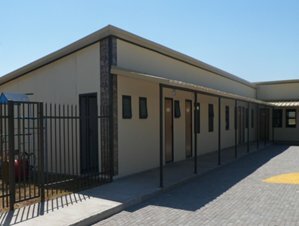 All buildings are pre-manufactured at our factory in Kempton Park, Gauteng, South Africa. 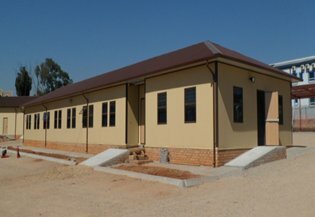 We guarantee a quality building for any of your requirements. We do manufacture custom designs. We however use our standard products specifications. Please check out our product specifications tag. 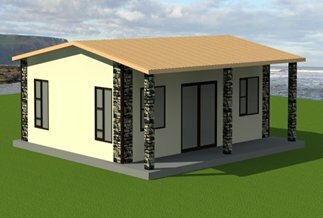 www.afripanels.co.za/product-specifications and hover over housing styles and select standard designs. Below is the different type standard roof designs we offer. 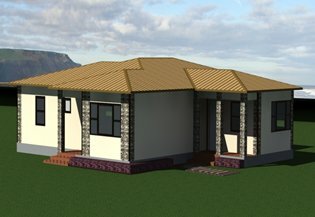 Our main feature on our modern building system is that the roof has no truss, just a IBR insulated panel roof with beams or common walls to create the double pitch, thereby creating more volume inside the building. The chromadek cobble pattern is a nice touch to give the structure a modern look. The roof slope is a standard 7 deg. This building style is commonly used for smaller buildings but can still be utilized on larger structures. The IBR roof panel is structurally much stronger than a standard IBR sheet and can span up to 6m un supported. The actual roof panel is the ceiling and the best part is that it is insulated, energy efficient and you save time on installation. The main feature of the Traditional style housing system is the lightweight roof truss. This type of building system can be used for very large building structure, taking into consideration the combined strength of common walls, the insulated ceiling and wall panels with the truss. This style is a very effective insulated structure but takes longer than the monoslope style to install, due to the truss system.